When you’re going through a divorce, you need an experienced Austin divorce lawyer who understands the law and will fight to get you everything you deserve. With so many factors and nuances, and with every divorce having its own personality, you can’t leave your divorce to someone who isn’t experienced and capable. The decisions that are made in your divorce will affect you for the rest of your life. How much contact will you have with your kids? How will you support yourself? Will you have to support your spouse? Where will you live? These issues are too important to leave to someone who hasn’t handled similar situations before. You want an Austin divorce attorney who has vast experience in divorce law. You also want a lawyer who has been successful in both settlements and trials. You don’t know where your divorce is going to go, and with something so important as a divorce, you need someone who has been through the process many times before. Experience is crucial, but without skill, it’s meaningless. Your Austin divorce attorney should have both experience and skill. Since a divorce involves children, retirement, finances, home ownership, and more, it is rarely, if ever, straightforward. Your divorce lawyer should be skilled in managing all aspects of a divorce. What do other people say about working with the Austin divorce lawyer you’re considering? Did they receive fair settlements? How difficult was their custody battle? Were they able to reach their lawyer when they needed him or her? Did they feel their lawyer actually cared about them? Lawyers are busy, but they should still take the time to explain things in a way you’ll understand. If your divorce lawyer can’t stop speaking in legal terms that make no sense to you, you won’t fully understand what’s going on. How can you have confidence in somebody who you can’t even talk to? Make sure you choose an Austin divorce lawyer who will explain the divorce process to you and answers all of your questions fully. How comfortable do you feel with your Austin divorce attorney? Do you connect with his or her style of communication? Does he or she listen to you, or talk over you? Do you feel respected by your divorce lawyer? Do you feel he or she has an interest in you? These factors are all important because you need to feel comfortable to share your worries and concerns, and to also trust that they will be taken seriously. Things can be confusing in a divorce, and you need someone who can answer your questions in a timely manner. Does your lawyer respond to you in a timely manner? Keep in mind that your divorce case likely isn’t the only case your divorce lawyer is managing, but his or her caseload shouldn’t be so heavy that he or she can’t take the appropriate time for you. You need a lawyer who can maintain composure with you, with your spouse’s attorney, and in the courtroom. Your interests are the most important, and your divorce lawyer should ensure they are represented appropriately. In addition, your lawyer needs to be flexible. All the preparation in the world will never be enough because divorce cases can throw surprises at any stage. Your divorce lawyer should be incredibly prepared, but still able to adjust to new situations in a way that still keeps your interests protected. 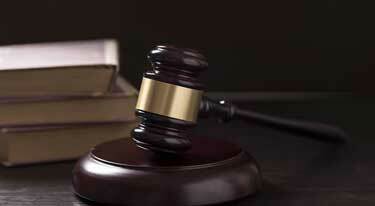 Ben Carrasco is a divorce lawyer in Austin who is skilled in both trial and settlements. Ben will work hard to get the best possible outcome in your divorce case. Call Ben today at (512) 320-9126 or request a consultation online.